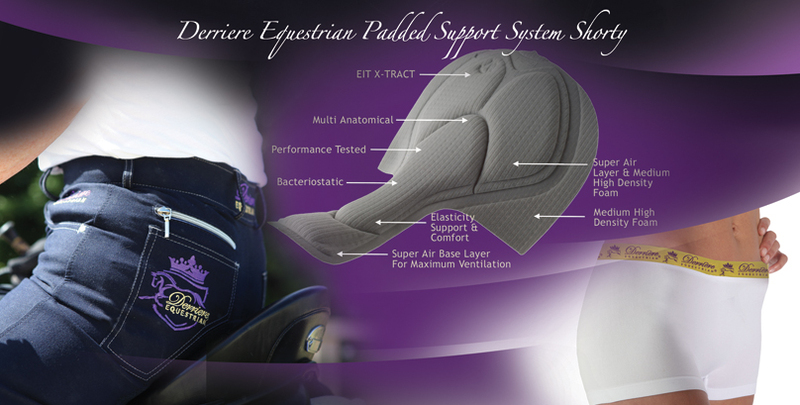 The Derriere Equestrian Performance Seamless Shorty (DEPSS) is designed to eradicate seamlines visible through breeches and ensure no rubbing, chaffing or abrasions are created due to stitched seams. The technology used to design and produce the DEPSS incorporates the use ofsingle jersey electronic circular knitting machines designed by Santoni® for the production of seamlesswear. The garments are woven to form a tube within the design, removing the need for side seams and reducing bulky seamlines. As the end garment is produced from many singular weaves, the Derriere Team worked hard in the development of the finished fabric for the seamless shorty to ensure it is soft and strong to withstand sporting wear and use. The DEPSS features the characteristic designer jacquard that finishes Derriere Equestrian® undergarments with style and quality second to none. The fabric finish for the seamless shorty is high end, luxury, sporting technology. 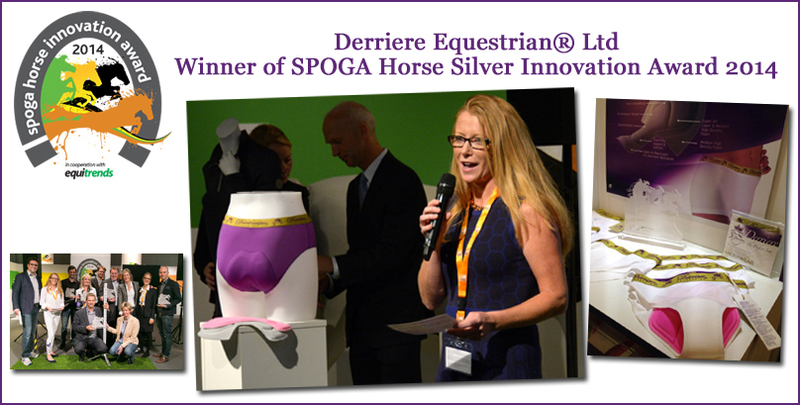 The content is a mix of Polyamide and Elasthanne, providing you with elegant, designer underwear that is soft, supportive, with the performance stretch needed for equestrian sports. The seamless shortys are designed for stretch, to fit and conform to the body’s natural shape. Due to the stretch capabilities of the fabric, there are less size differentiation requirements.